Red describes me perfectly. My sins are covered by the shed blood of Jesus Christ. 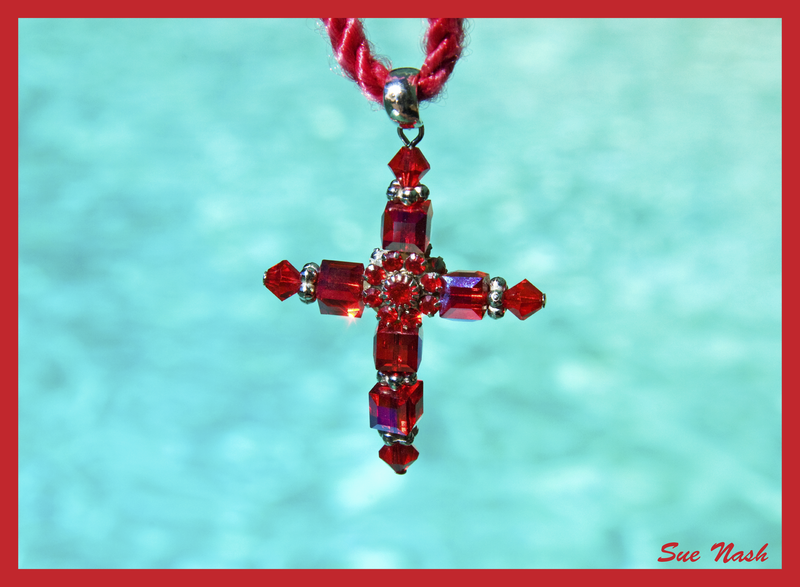 This entry was posted in Weekly Photo Challenge and tagged blood of Jesus, cross, cross necklace, Daily Post, Photograph, postaday, red, Weekly Photo Challenge on October 23, 2013 by heavenlyraindrops. Amen! What a pretty cross! Thanks for the nomination! And thanks to Jesus for His precious blood! Thanks for introducing me to Michael Card and this wonderful song, Heidi. I love how by interacting with fellow believers, we glean so much from each other!